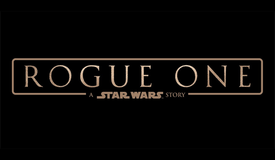 The original story, first published on December 29, has been updated to include final domestic grosses for the year. 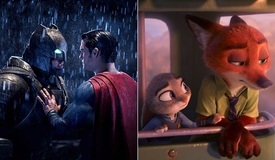 It may have been a closer call than originally expected, but the overall domestic box office for 2015 has set a new yearly box office record with $11.12 billion. 2015 is also the first year on record to pass the $11 billion mark, as the previous domestic high-water mark was the $10.92 billion overall box office of 2013. With the use of the latest 2015 average ticket price of $8.34, estimated admissions for the year stand at 1.33 billion. That represents a 5 percent increase over estimated admissions for 2014 (1.27 billion). This year's overall box office will end up a healthy 7.4 percent ahead of last year's lackluster $10.35 billion domestic total. 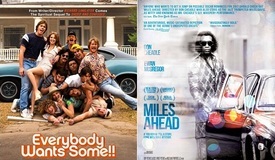 The overall box office for the first quarter of the year (January through March) totaled $2.47 billion. That was the smallest quarterly total of the year and represented 22.2 percent of the year's overall total. The second quarter (April through June) totaled $3.08 billion. That represented the largest unadjusted quarterly box office ever on record and 27.7 percent of the year's total. While July was softer than usual this year, the third quarter (July through September) still totaled $2.64 billion thanks in part to a record breaking September. That represented 23.7 percent of the year's total. Finally, the fourth quarter (October through December) totaled $2.92 billion. The fourth quarter represented 26.3 percent of the yearly total and was aided by a record breaking December that was driven in large part by Disney's Star Wars: The Force Awakens. Speaking of Star Wars: The Force Awakens; the blockbuster sequel is already the year's highest grossing release domestically with $686.4 million through the end of January 1. 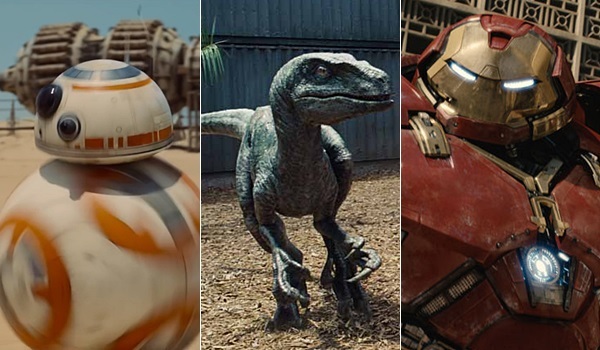 The film has zoomed past the $652.3 million final domestic gross of Universal's Jurassic World, though Jurassic World does have bragging rights for the calendar year itself (Star Wars: The Force Awakens had grossed $652.0 million through the end of December 31). Disney also claimed the third and fourth highest grossing releases of 2015; Avengers: Age of Ultron ($459.0 million) and Inside Out ($356.5 million). In addition to Jurassic World, Universal claimed the fifth and sixth highest grossing releases of the year; Furious 7 ($353.0 million) and Minions ($336.0 million). Warner's American Sniper, which was technically a 2014 release, took in $348.8 million of its total $350.1 million gross during 2015. The year's top six releases and American Sniper represented 28.4 percent of the total yearly box office (through December 31). Universal was the year's highest grossing studio with a record-breaking $2.44 billion for the calendar year. That represented 21.9 percent of the overall yearly market share. In addition to the success of Jurassic World, Furious 7 and Minions, other blockbuster level performers for Universal included Pitch Perfect 2 ($184.3 million), Fifty Shades of Grey ($166.2 million), Straight Outta Compton ($161.2 million) and Trainwreck ($110.2 million). Disney came in a close second place with $2.28 billion for the calendar year. That represented 20.5 percent of the overall yearly market share. In addition to The Force Awakens, Avengers: Age of Ultron and Inside Out, other key 2015 performers for Disney included Cinderella ($201.2 million), Ant-Man ($180.2 million) and The Good Dinosaur ($110.7 million through December 31). While Warner Bros. has had a tough end to 2015, the studio still came in third place for the year with $1.60 billion. That represented 14.4 percent of the overall yearly box office. In addition to American Sniper, key performers for Warner Bros. in 2015 included San Andreas ($155.2 million), Mad Max: Fury Road ($153.6 million) and Creed ($99.6 million through December 31). Fox, which had a slow start to the year and picked up the pace later in the year, finished in fourth with $1.30 billion. That represented 11.7 percent of the yearly market share. The studio's highest grossing 2015 release was The Martian ($225.3 million through December 31). Other key performers included DreamWorks Animation's Home ($177.4 million), Kingsman: The Secret Service ($128.3 million), The Peanuts Movie ($128.2 million through December 31) and Spy ($110.8 million). Sony landed in fifth place with $0.96 billion, for 8.7 percent of the overall market share. Like Fox, Sony started out the year slowly, but had a stronger second half of the year. Spectre is Sony's highest grossing 2015 release ($196.5 million through December 28). Hotel Transylvania 2 ($167.8 million to date) was the only other Sony release of 2015 to gross at least $100 million, though low-budget surprise hit War Room ($67.8 million) was an especially strong performer for the studio. Thanks in part to the stronger than expected start of Daddy's Home, Paramount moved past Lionsgate for sixth place this year with $674.7 million. Paramount's highest grossing 2015 releases were Mission: Impossible - Rogue Nation ($195.0 million) and The SpongeBob Movie: Sponge Out of Water ($163.0 million). Daddy's Home (with $76.2 million through January 1) is also on course to pass the $100 million domestic mark for Paramount before much longer. Lionsgate landed in seventh place with $665.2 million. The distributor was led by a pair of young adult sequels: The Hunger Games: Mockingjay - Part 2 ($269.6 million through December 31) and The Divergent Series: Insurgent ($130.2 million). The next highest grossing 2015 release for Lionsgate was Sicario (with $46.8 million through December 31). 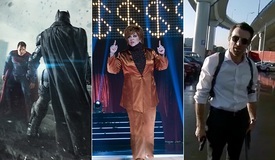 Even in a record breaking year, there were still plenty of box office disappointments. Pricey high-profile releases that failed to reach the $100 million domestic mark (and in some cases failed to come anywhere close to it) included Disney's Tomorrowland ($93.4 million), Paramount's Terminator Genisys ($89.8 million), Sony's Pixels ($78.7 million), Fox's Fantastic Four ($56.1 million), Warner's Jupiter Ascending ($47.4 million), Warner's late-year combo of Pan ($35.0 million to date) and In the Heart of the Sea (with just $23.5 million to date) and Universal's Seventh Son ($17.2 million). 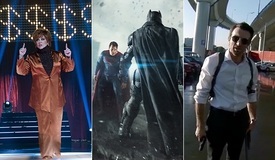 The full list of 2015's highest grossing releases to date can be read here.